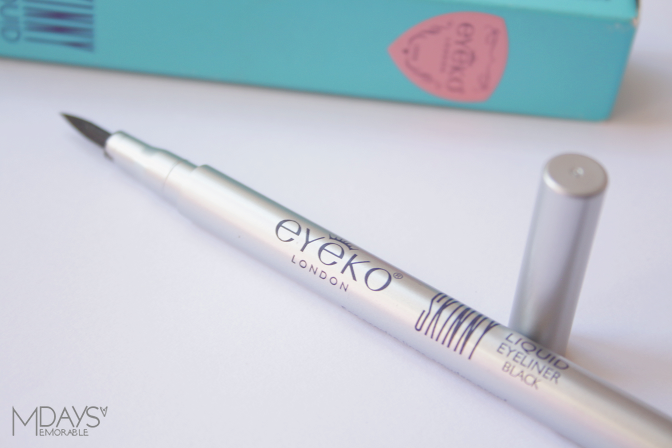 Review: Eyeko Skinny Liquid Eyeliner in Black | Memorable Days : Beauty Blog - Korean Beauty, European, American Product Reviews. Today I'm introducing one of my favorite products at the moment! 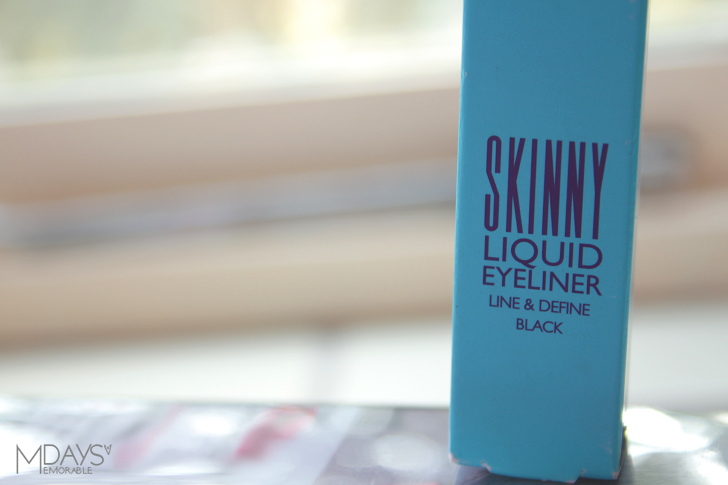 *drumrolls* It is the Eyeko Skinny Liquid Eyeliner! Can you still remember this brand? It has been a while since I've heard of this brand to be honest. I've seen it in Jen's from frmheadtotoe favorites video (link to video, scroll to 5:14) and she recommended it for monolidders, so that was the reason I gave this eyeliner a try. And yes, i've tried it, used it for more than a month and it has become one of my favorite eyeliners at the moment. Continue with reading for more information. "Whether you want bold drama or grown-up glamour, you can line and define your eyes in an instant with our easy-to-control Skinny Liquid Eyeliner. The preservative-free formula with key ingredient, Sodium Hyaluronate ensures that colour glides on and stays on for a long-lasting, glossy finish. It's a highly pigmented color, it won't smudge or fade and it's easy to apply." PRICE AND WHERE TO BUY EYEKO? 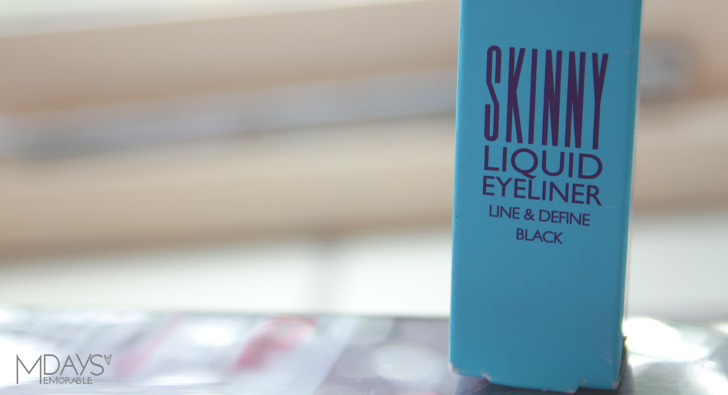 You can purchase the Skinny liquid eyeliner for $15 on their website: http://www.eyeko.com. 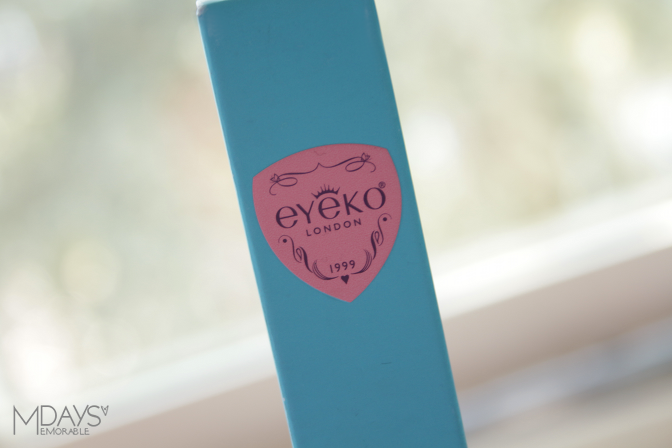 Feel free to use my Eyeko coupon code: E19293 to get a free gift when purchasing more than $20! They ship worldwide and shipping is free if you are living in Europe or in the UK. You can also purchase it at Sephora.com and they are selling it for $16. 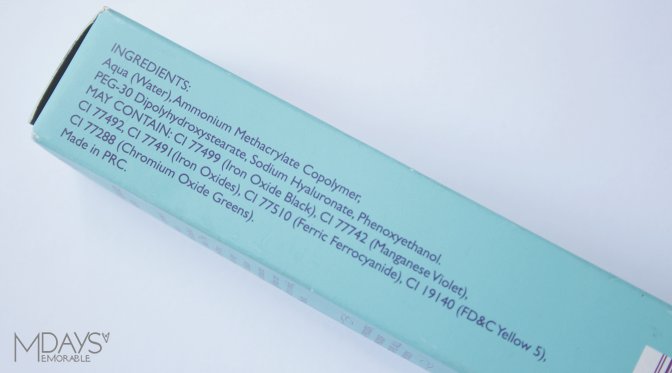 The eyeliner is sold in a light blue packaging. I've purchased the eyeliner in the color black, but it's available in 4 other colors which are: olive green, navy blue, brown and purple. The felt tip is quite large as you can see. It's not possible to create thin lines with this eyeliner. It is quite sturdy and the tip is hard, great for beginners i would say. When you open the cap it smells like a sharpie marker but i'm glad you can't smell it when you have it on your eyelids. The downside of the felt tip is that it dries fast. It's ok when applying it on one eye, but once i apply the eyeliner on my second eye, i can just feel that the felt tip is dry, but the pigmentation is still good. As you can see, eventhough I only applied one coat, the color is very visible. The more often you go over the same spot, the thicker the line will be and the color will be even more visible. I usually just apply one coat since it's very pigmented. 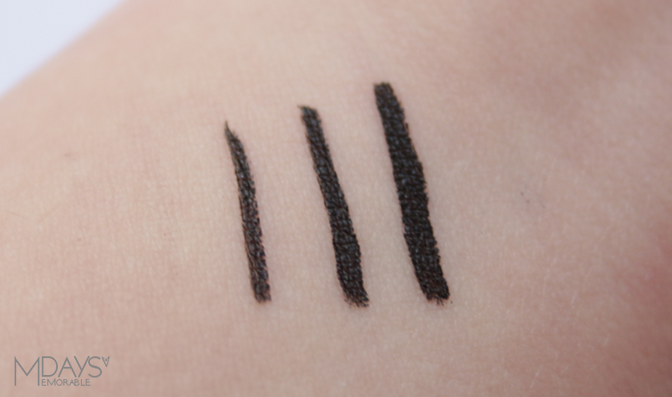 It's a deep black eyeliner with a shiny/glossy finish (see below for the close up picture). IS THE SKINNY LIQUID EYELINER SMUDGE-, OIL-, SWEAT- & WATERPROOF? YES, it's smudge and oil proof for sure and it dries extremely fast! I always blink when I apply eyeliner and with some eyeliners it will smudge right away or it will get into my fold/crease. However with this one it won't since it dries super fast. It is definitely recommended for monolids! It stays on the eyes for the whole day without re-applying it. The color will just stay like this for the whole day and it won't fade! However, it isn't sweat-, tear- and waterproof. (see pictures below) I've put a little bit of water on the eyeliner, wiped it off with my fingers and the eyeliner came off right away. It won't flake but it will smear. Therefore, try to avoid wearing this when its going to rain, don't laugh too hard and get teary eyes and don't cry, otherwise you will look like a panda in no time. 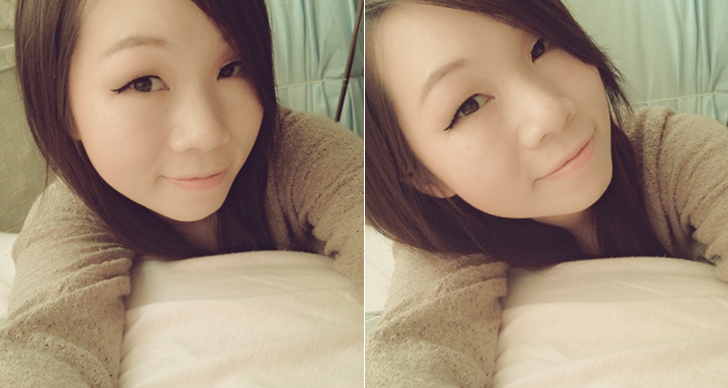 I approve this eyeliner for monolidders!!! (Of course, people with double eyelids can use it as well.) It's always a pain for monolidders to find a great eyeliner that won't smudge. This baby dries extremely fast so you don't have to worry that it will get into your fold/crease. I love it that it will stay on the eyes all day long without fading or smudging. 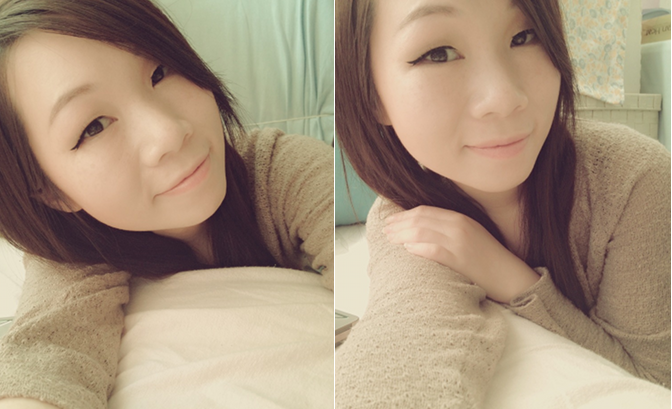 My eyelids are so oily throughout the day but the color remains perfectly. Also, I'm happy that it is so pigmented, only one coat is needed, so you don't need to go over the same spot over and over again which saves a bit time in the morning. A few downsides are that it isn't water, tear and sweat proof. I've had this on at work and I laughed really hard because of a joke and I had teary eyes. I wiped the tears off and my eyeliner came off =(. Sad, but oh well, my eyes won't get teary normally so i'm ok with it. 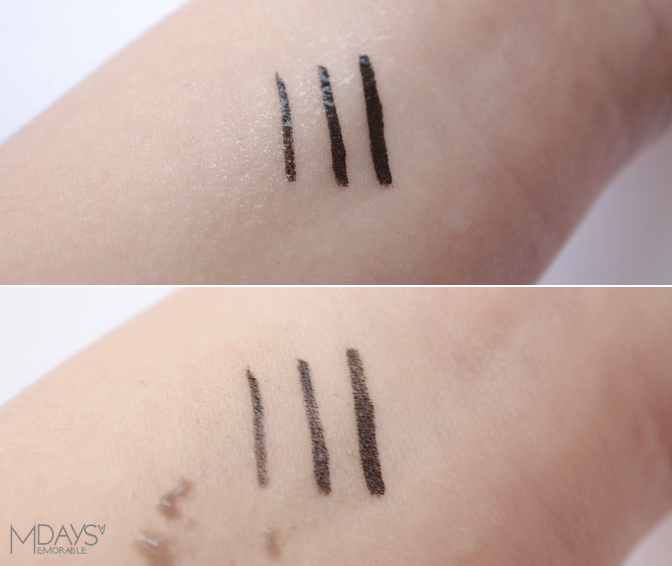 You just need to keep in mind that it will smear when your eyeliner reaches water. Another downside is that I'm able to feel that the felt tip is dry. I don't get any problems when applying this baby on the first eye, but once I start with the second one, the felt tip feels very dry and rough but the pigmentation is still good though. It just doesn't apply smoothly like the Dolly Wink or the One day tattoo eyeliner.